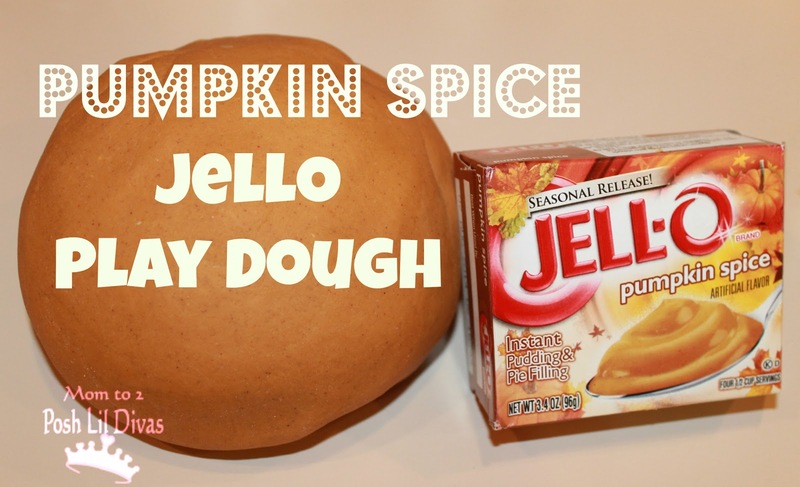 I was super excited when I went shopping over the weekend and scored some Pumpkin Spice Jell-O packets on clearance! I couldn't wait to mix up a batch of jello play dough for my preschoolers to play with this week. If you have never whipped up a batch of jello play dough - I urge you to give it a try. It's so moist, sticky and fun. 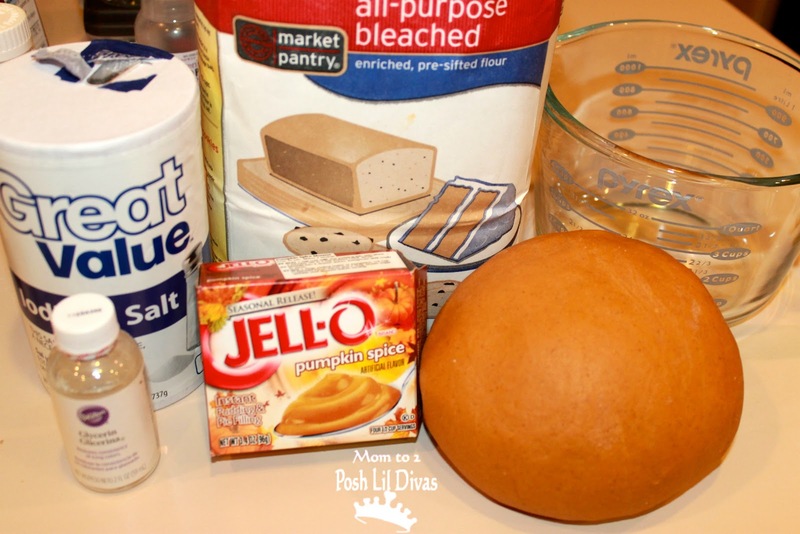 Kids love the texture and this pumpkin spice scent was fabulous. 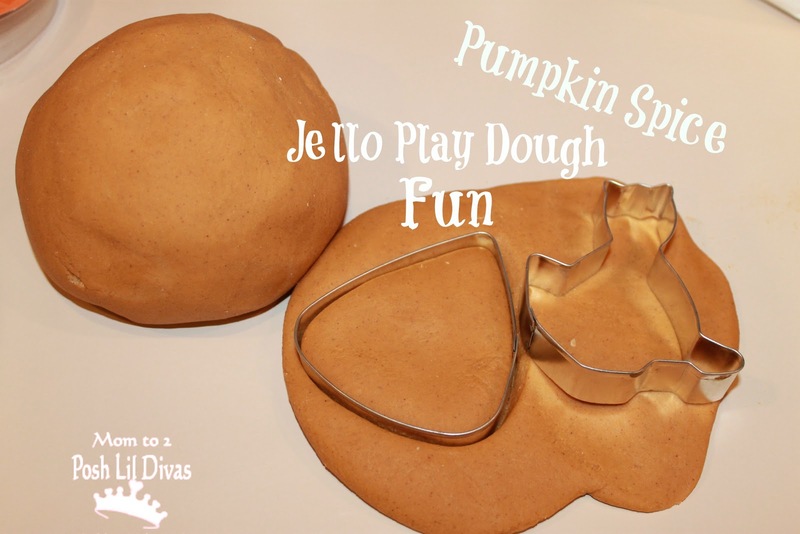 This is super easy to make so it's perfect for kids to help in the kitchen. 1. Put 1 cup of water into microwave for 2-3 minutes - to bring to a boil. This must be done by an adult. 2. In a bowl combine your dry ingredients - 3.5 cups flour (save 1/2 cup flour for later - you will add flour as needed to reach YOUR desired consistency, you may even want to add more than I did! ), jell-o packets and 1/2 cup salt - and mix well. 4. Mix in water and stir - use caution with any children helping because you are using hot water for this step. Once your dough starts to form, get ready to knead. 5. Let cool just a bit before you begin to knead the dough. Knead your dough well, adding flour as desired. I used probably an additional 1/2 cup or more of flour. Jell-O is sticky so just sprinkle on additional flour as needed until you get the consistency you prefer. 6. Add 1-2 drops of glycerin if desired. This play dough is pretty soft and sticky thanks to the jell-o so glycerin isn't essential. I added a drop just because I prefer shiny play dough. That looks so fun! I want to make this tonight and take it to the preschool I work at tomorrow! I know the kids will LOVE it!! What a wonderful idea! I am sure your children enjoy the smell.